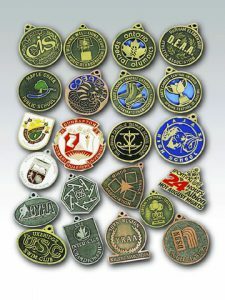 These metal cast medallions can come in a variety of shapes and can include any custom logo. 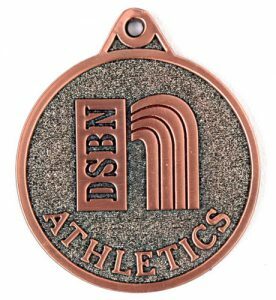 The medals are quality finished in deep cut, high relief on one side and have a polished, engravable surface on the other. 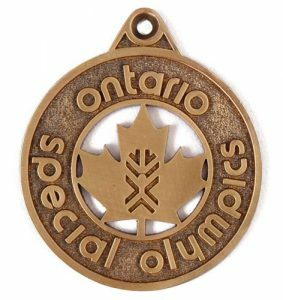 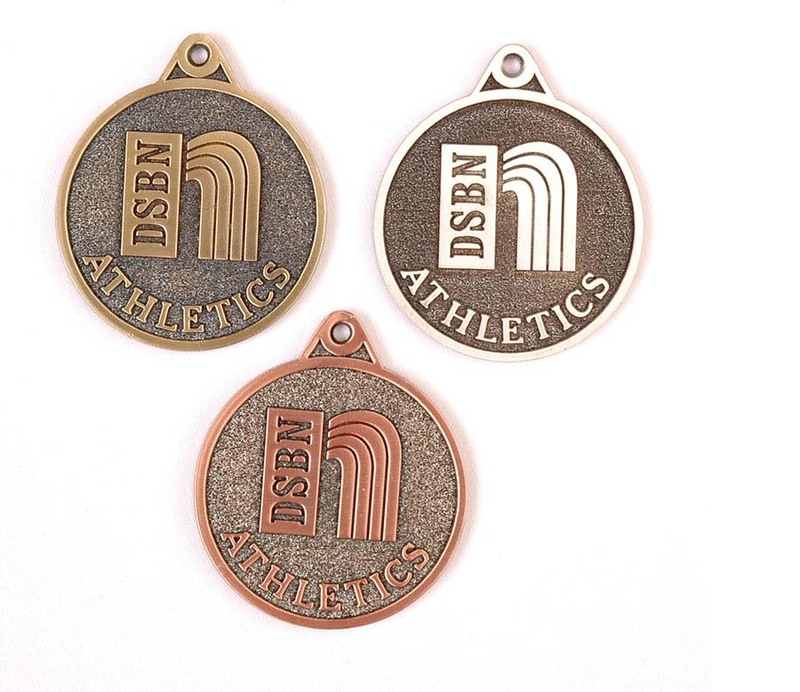 The medals come in a variety of finishes and colour options, and can be attached to neck ribbons with a loop or applied to trophies or plaques (without a loop) to acknowledge special achievements.